These are my 7 blocks for this month’s lotto: Scrappy Trips Around the World. 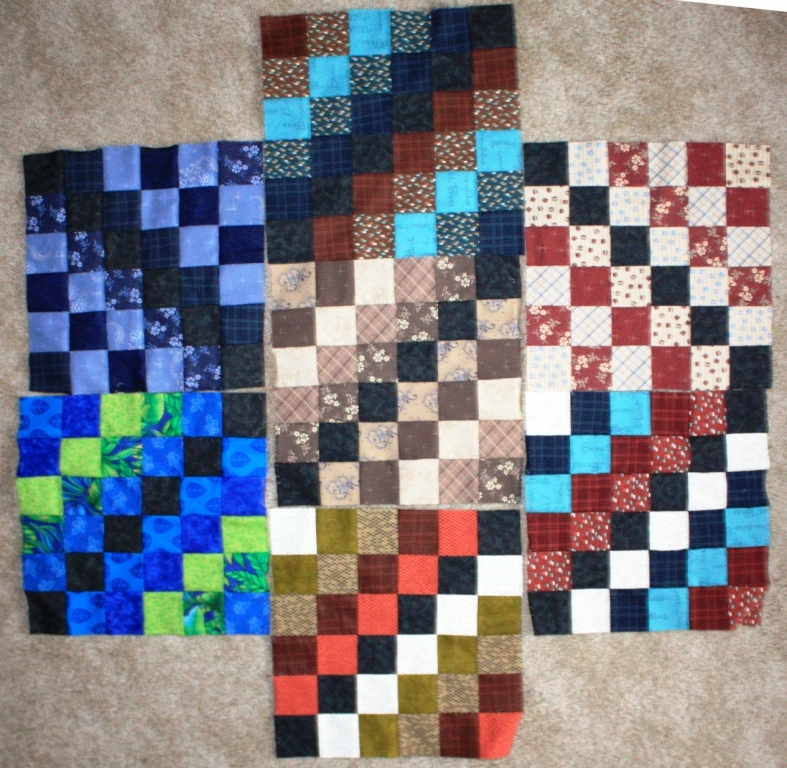 Some of the blocks aren’t pressed yet; and, this picture isn’t terrific (I noticed some folded under corners and such); but, I wanted to get them entered in the lotto. This pattern is one I’m definitely going to use for a quilt I am designing as a gift. Although, I’m hoping to win a set of these scrappy ones!